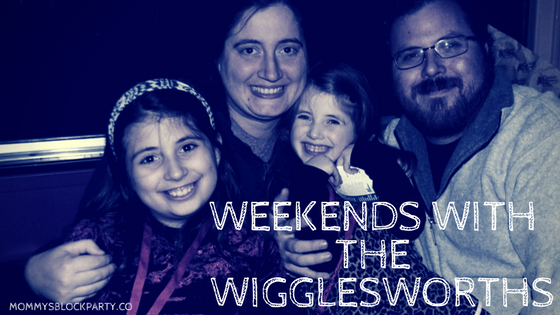 Weekends with the Wigglesworths- Life is Just One Big Roller Coaster Ride! Happy Saturday, friends! I'm sure glad the weekend is here because this last week has been a doozy and this Mama is tapping out. Physically, things are okay, which is good. Emotionally, I'm am just exhausted. It all started with a text from my sister- "Call Mom, 911". Ominous messages are not the best way to start a Monday morning. It turns out my Dad had been sent to the hospital. Now, to give you a bit of insight- our Father/Daughter relationship is (in a cliché yet complicated way) strained. I still love him, though, and the news made my heart sink. The information was limited, emotions were running high, and everything just seemed pretty dramatic. I couldn't deal. So I did what I do best, I put on my super-rational hat and refused to be "sucked into the drama". Plus, everything was going to work out just fine, I was absolutely convinced. From an outsider's perspective (and likely from a few insiders' perspectives), I probably seem like an unfeeling monster. All of my sisters, my Mom (who has long been divorced from my Dad), and other family members were either visiting him or on their way from out of state to visit him. I stayed home, posted a prayer request on Facebook, and basically just tried to stay busy enough to avoid feeling anything. This continued throughout the week. Tuesday my youngest sister texted that Dad would like to talk to me. I called and he sounded horrible but better than I had braced myself for. He didn't know who I was (he called me another sister's name), but he seemed coherent and overall okay. On Wednesday I was toying with the idea of driving down after the girls got out of school. On the way to pick them up, the ABS light in my car came on. 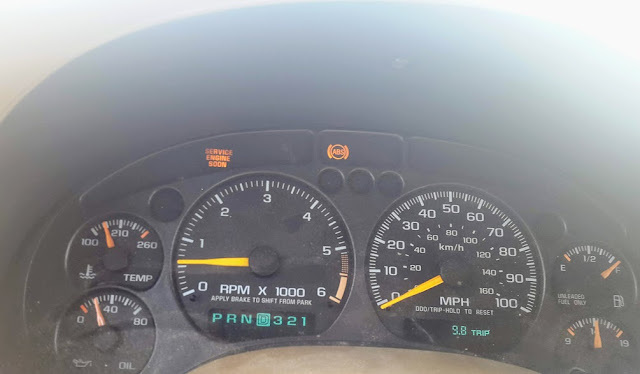 Even though the car was acting fine, I didn't feel like taking a chance and driving down. Like I had been saying to myself since Monday- "it's not like you can do anything by being there, you are not a doctor and you have no magic wand". So, I texted my sister and let her know I wouldn't be down to visit. On Thursday I talked to my Mom. She was stressing out because Dad had been really out of sorts and aggressive, likely due to the medication he was on. It had gotten so bad, that his visitors at the time (my Aunt and her fiancee) had to leave. I didn't get to talk to her for too long, but it sounded like he wouldn't be allowed visitors for the rest of the day. On Friday I woke up (late, of course) to a ringing phone. My eyes opened, but wouldn't focus enough to let me read the caller id. A few minutes later, after I noticed how late it was, I jumped up and checked the phone. I had missed two calls, one from my Mom and one from my sister. My heart dropped, but I forced myself to calmly return my Mom's call (since she called first). I don't even remember exactly what we talked about, but it was all good news. Dad was doing well. They had contacted an ex-girlfriend (weird to me, but whatever) and she came to visit him, which raised his spirits some. I was glad to hear the news, but rushing to get the girls ready for school, so we cut the conversation short. "Sorry for the group text but...."
A few hours later, a text came from my youngest sister- "Sorry for the group text but... Dad is doing amazing. He is talking ALOT better and can finally eat but pureed food only!" It was great news and I felt both relief and gratefulness. So now that the weekend is here and Matt will be home, the plan is to visit Dad tomorrow. I'm hoping to keep my super-rational hat on, but I'm really scared that I am going to fall apart. I've seen the pictures and video, but knowing that I will see him, first-hand, in such a vulnerable state...well,I don't have the words to explain the emotions right now. I'm sorry that this post was a little different than most of our WWTW posts. If you got this far, thank you for reading! I hope that you all have an amazing weekend. 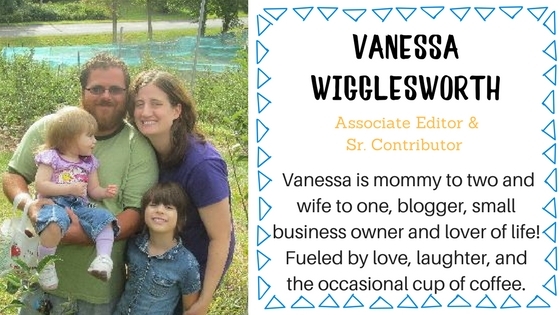 I'd love to hear about what you have planned, so leave a comment!